My wife got me a Wii for Christmas. 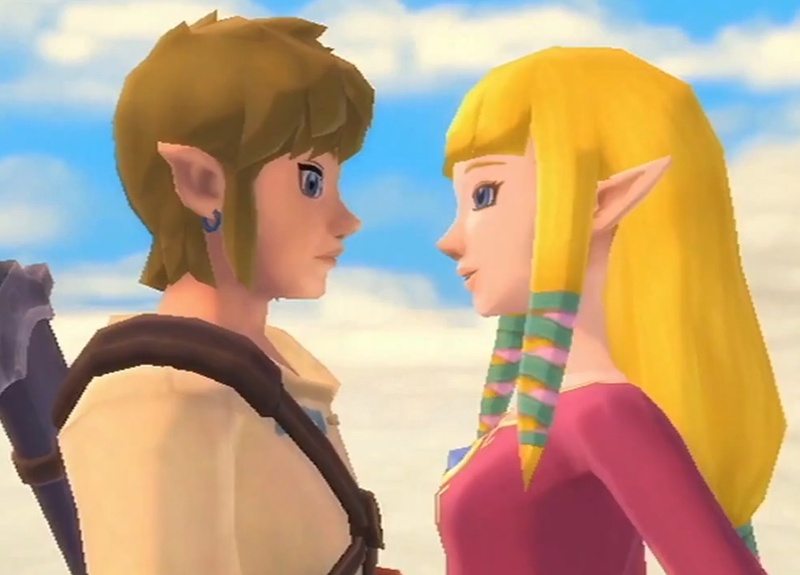 This is the most “epic feeling” Zelda of the series so far. Where many start off pretty slow for the first little bit, Skyward Sword (SS) just feels like it gets going pretty quickly and that the scope of this adventure is going to be pretty huge. Part of it might be the fact that you start in the sky. Twilight Princess ended up with one temple in the air, which was pretty cool, but here you start in the sky, on an island, and you ride huge birds. Cool. Now I’ll just go ahead and list some “quick hitters”. I’m only 3 hours in and just getting to the first “temple” and love the game so far (a little more on the “temple” thing later). The combat system is going to take some getting-used to. It is really cool, but I’m used to the button-mashing-remote-waving combat of Ocarina of Time and Twilight Princess and the more deliberate combat of SS is a change (I think, so far, a good one). Skyloft is a good central location for your start. It is large enough for you to explore and has some varied characters on it. Nice. Flying is good and I think the distance is about what the Great Sea should have been in Wind Waker. I’ll see if this holds up later, but for now it is good. You will be using motion controls a lot and in many different ways. I still need to get more comfortable with throwing and walking across tightropes, but there is a lot more “skill” needed to traverse areas. Story is good so far. No spoilers from me. As has been said from other reviews, the locations are temples in themselves … not just the actual temples. Expect to spend a lot of time getting to places, but you really don’t care. So far it is a nice change-of-pace from the walk-and-slash way of getting to locations in the past.